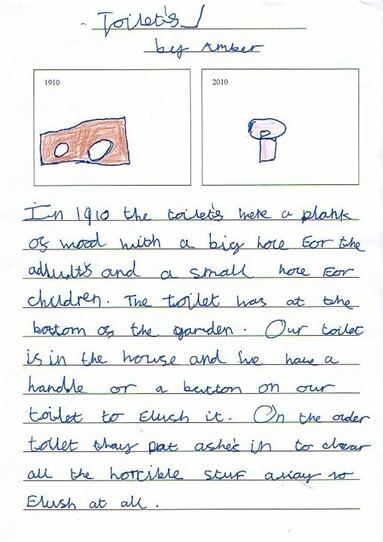 When year 2 investigated different parts of the home and how they have changed over the past 100 years, Amber found that the toilet, although not changed a lot to look at, has changed in where it is. If you have any memories about outside toilets please share them with us. This page was added by Jos Tompkins on 25/01/2011.